With the passage of a school finance plan and, thanks to a veto override, a tax plan, the legislature has one more major piece of business between them adjournment – the final budget bill. As we write today, the House is debating their budget bill and the Senate is on a recess, ready to come back to vote, at least, on a conference committee report. Once both chambers pass a budget, they will need to work out the differences in a conference committee. We anticipate that both budgets will be done today, leaving tomorrow for the adoption of a conference committee report. It is possible to wrap up the session tomorrow but not certain. 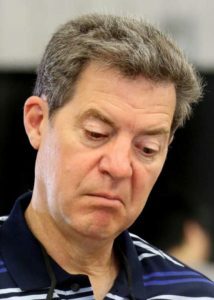 But we are also waiting to hear if Governor Brownback signs or vetoes the school finance bill. 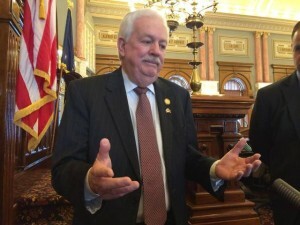 It was announced that he signed a bill simplifying the rules about working after retirement in KPERS positions but no word yet on SB 19, school finance. In the meantime, we would suggest you follow twitter. Best sources are, of course our own Mark Desetti (@desettiks), the statehouse reporters (@kprkoranda, @Celia_LJ, @jonshorman, @LJWpqhancock), and one of the best sources of action unfolding in the House is Rep. Stephanie Clayton (@SSCJoCoKs). 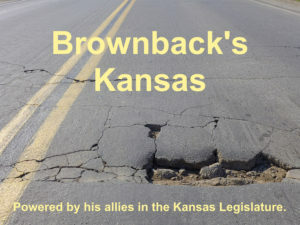 In these days of a legislature and Governor who seem to be determined to run Kansas into the ground – or simply shrink it to a size that can be drown in a bathtub – the 2016 legislative session came to an end in the wee hours of this morning with the Senate on a vote of 22 to18 passed a budget conference committee report that the House had earlier passed on a vote of 63 to 59. In both chambers it took a call of the body to persuade the last few people to move to the YES column in order to pass the bill. In the House it takes 63 votes to pass, 21 in the Senate. The budget bill contained in the conference committee report on SB 249, marks the second year running that the legislature failed to balance the budget, instead punting to the Governor to make cuts of his choosing. Gives the Governor permission to take most of the sales tax dedicated to the highway program and move it into the state general fund (aka “robbing the bank of KDOT”). Gives the Governor permission to delay KPERS contributions and then indefinitely delay paying KPERS back. 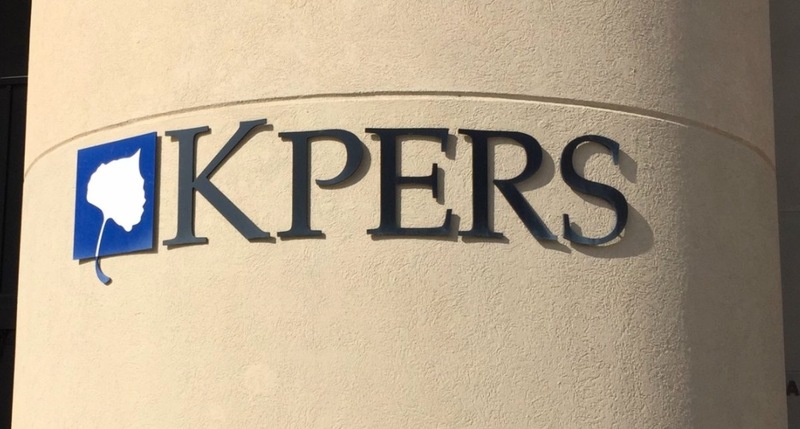 In an earlier version, the legislature had directed that delayed KPERS payments would have to be paid back in the first quarter of the next fiscal year with 8% interest. Under this bill, KPERS gets paid back with any revenue that comes in above estimates and any tobacco settlement money that comes in above what has already been allocated for children’s programs. Bear in mind that revenue has exceeded estimates only one time in the last 12 months. There is also a proviso that says the revenue from the sale of state properties will go to the agency that owns the property and not to KPERS as was under current law. Gives the Governor permission to cut most state agencies by 3 to 5%. It specifically directs that he may not cut K-12 education. Gives the Governor permission to cut universities by another $17 million but kindly repeals the cap on tuition increases passed last year so that students and their families can make up the difference in higher tuition and increased student debt. Gives the Governor permission to issue an RFP for the privatization of Osawatomie and Larned State Hospitals. Reverses permission to actually privatize with the legislature. Contains provisos to protect Juvenile Justice Reform funding and Domestic Violence program funding. Contains a proviso that the Docking State Office Building cannot be demolished without legislative permission. There are a number of other provisos as well covering everything from Parks and Wildlife to K-State land sales. NO votes for the bill, based on the statements made during discussion, include the belief by some extreme conservatives that K-12 education should not be spared from further cuts. Others argued that they could not support the bill because it could have a potentially devastating impact on KPERS. Still others argued that it was the equivalent of “dereliction of duty” in that the one task given to the legislature each year is to pass a balanced budget – it’s not balanced if it is dependent on the Governor making cuts to budgets at his discretion. And the YES votes? We’re not sure about those. Maybe it was the late hour and the belief that things would only get worse if they stuck around town. Whatever the reason, the bill in the House was initially at 61 to 60. Rep. Suellentrop (R-Wichita), who was out of the chamber when the vote was initially taken, came in and voted YES, making it 62 to 60. That’s when Rep. Todd (R-Overland Park) changed his vote from NO to YES, securing the 63rd vote for leadership and passing the bill. The final vote follows. 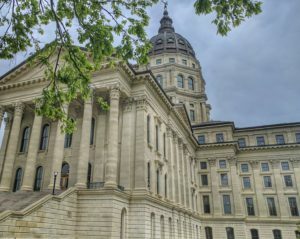 Everybody knows (well, everybody except the Kansas Chamber, the Kansas Policy Institute, and Americans for Prosperity) that the income tax exemption for LLCs which has resulted in more than 330,000 Kansas business owners paying no income tax whatsoever in both unfair and bad fiscal policy. KNEA has been one of the many voices calling for the repeal of this exemption. Yet, the repeal bill failed. And frankly we think that’s a not a bad outcome. Here’s why. The LLC exemption is just one small part of the state’s revenue collapse. If the exemption is the only part of the 2012-13 tax plan to be repealed, it will not bring nearly enough revenue to solve the revenue crisis. In fact, this bill (SB 63) would have brought in no new money now, a very small amount next year and would only fully kick in in 2018. The repeal of the LLC exemption is important but needs to be part of a complete repeal or comprehensive reform of the tax system such that revenue stability and adequacy is returned. We know that the Chamber, AFP and KPI would call a yes vote on this bill a tax increase and use the vote in the next election to attack moderate Republicans and Democrats. What moderates and Democrats all want is to fix our tax system so that we can once again fund our highways, schools, public safety, and other vital state services. They know that if this bill passed, it would solve almost nothing and reduce the willingness of all legislators to consider more tax reform in the future. Think of it like pulling a bandaid off your arm – especially if you’ve got a hairy arm! Most of us would rather rip it off and get the pain over with rather than take incremental equally painful little tugs. What the state needs – and what moderate Republican and Democrats understand – is fiscal responsibility. We are all better served if we bite the bullet, admit the “experiment” is a failure, and take real action to reverse course. 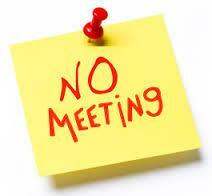 What we were watching over the last few days were not amendable bills being debated but conference committee reports. There is a big difference between bills and conference committee reports. Conference committee reports are agreements worked out by small teams to get deals on the various versions of bills passed. This is important in the process because if a bill has not passed either chamber, it cannot be taken up in conference. While bills that have only passed one chamber can be added to a conference committee report, it is not often done because legislators like to have had their own hearing on the bill and a chance to amend it. In the education realm, several bills were rolled together in conference committee reports. In CCR SB 323, three K-12 bills were rolled together. The first bill, the Jason Flatt Act, requires 1 hour of annual suicide prevention training for school employees. The second bill establishes a program to track the language development of deaf and hearing impaired students. 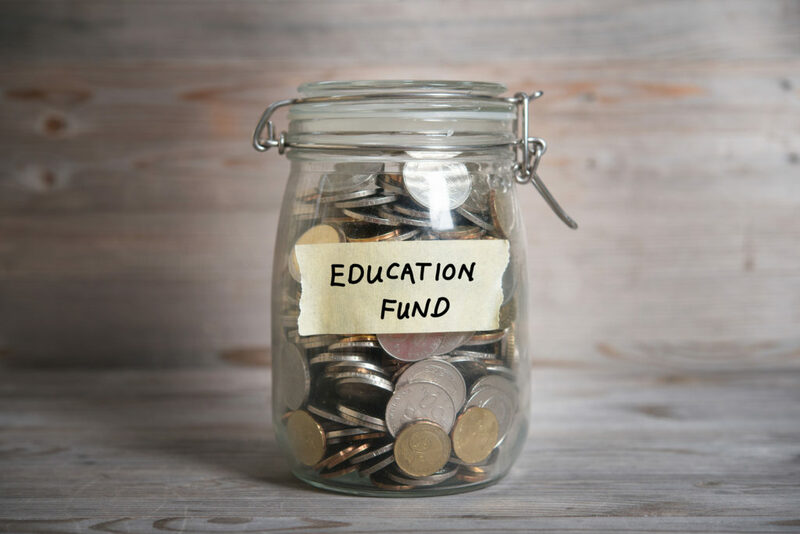 The third bill changes the rules for capital improvement state aid, establishing a 6 year rolling average cap on expenditures and allowing the State Board of Education to prioritize projects based on certain criteria. This CCR was adopted unanimously in both chambers. This CCR was adopted in the Senate on a vote of 34 to 6 and in the House 109 to 8. Some other bills we were following this session did not move forward during the veto session. They were not put into conference committee reports and, since conference committee reports cannot be amended, they were not added in as floor amendments. 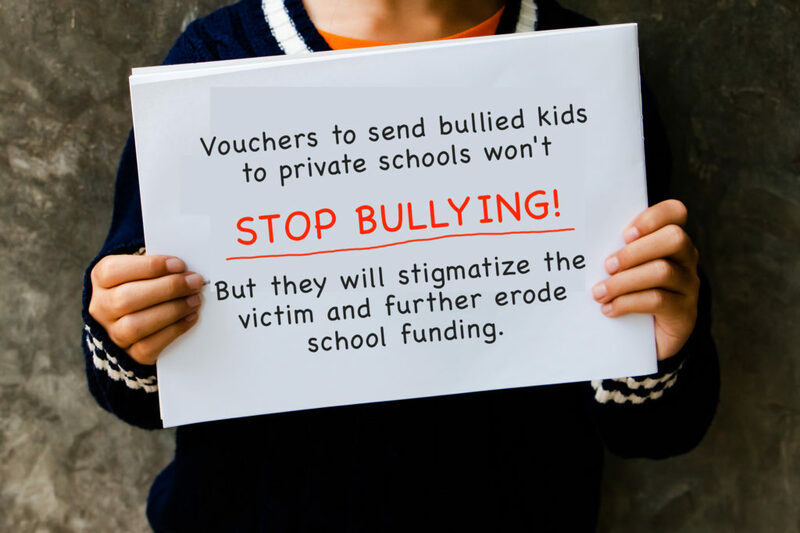 These include, SB 56, the repeal of the affirmative defense for K-12 teachers; HB 2199, the opt-in human sexuality education bill; HB 2531/SB 136, the repeal of due process for post-secondary instructors; and SB 469, the recertification of representative organizations for teachers. Now everyone who lives under the dome goes into a waiting game. At issue is the Supreme Court ruling on whether or not the school funding equity bill passed by the legislature will meet constitutional muster. Arguments are scheduled for May 10. The Court has suggested that if the legislature does not meet its constitutional obligation by June 30, schools will not open in August. People on the plaintiff’s side think the bill will not satisfy the court while those who wrote the bill believe just as strongly that it will. With Sine Die (the largely ceremonial last day of the legislative session) scheduled for June 1, it would be a stretch for the court to rule prior to then. If the court rules early in June and rules against the state, we would expect a special session to be called in order to resolve the issue before the scheduled opening of schools in August. Whatever we find out, we will report right here! With the session over, Under the Dome will go into sporadic hibernation. Rather than daily updates, you will receive occasional updates as the need arises.